The high tech industry has been one of the strongest in the employment market, and it shows no signs of slowing down. According to Robert Half, job growth and salaries continue to increase in the information technology sector. Although software developers and computer programmers continue to enjoy high demand and attractive salaries, employers are also looking for IT experts with new sets of skills that will help them stay competitive in this rapidly changing market. Here are five technology jobs that should be on your radar. A massive amount of data is collected on the web from user activity. However, this data has no structure. A data scientist takes this collection of raw data, manipulates and extracts meaning from it, and prepares it for stakeholders in a way that they can understand. This professional has experience with data mining and quantitative analysis as well as coding and algorithms. A data scientist is a key player across all industries because the information that is produced can help business executives make strategic business decisions that impact a company’s competitive edge. A degree in computer science plus advanced studies in data mining would be desirable. Society’s growing dependence on cell phones and tablets is fueling a demand for more developers who can build mobile applications. Consumers expect easy and convenient ways to access services from businesses, and companies are focused on delivering what their customers want. Employers need developers with experience in developing apps that are easy-to-use by the end-user. The mobile app developer should be knowledgeable in building apps on multiple platforms including iOS, Android and Mobile Windows. He also must have good design skills in order to design an interface that is user-friendly. Employers look for strong problem-solving skills and a solid knowledge of Java, HTML, .NET and other languages. The need to transmit sensitive information securely over vast networks is critical across all industries including financial services, healthcare, manufacturing, government, and many more. The threat of hacks is as pervasive as ever. When a security breach is detected, the cybersecurity professional must spring into action and stop the attack. He must use strong problem-solving skills to anticipate how system security can potentially be breached in the future and make the necessary recommendations to mitigate these problems. A strong understanding of data architecture, operating systems, networks and firewalls is a must. Skills in a wide range of programming languages are also highly desirable. Businesses not only want to deliver information to users, but they want users to experience it. For example, on a mobile device, people want to see a street or a layout of a specific environment in a way that allows them to “walk through” the area on their device. 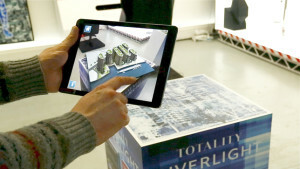 The augmented reality specialist designs and builds the interface so that the user can see the buildings nearby or the landscape in the background. Skills required for this career include 3D modeling and rendering, graphics design as well as technical skills in HTML5 and mobile operating systems. Being able to combine various technologies in new ways in order to produce the results desired would be a valuable skill. These five careers will provide you with a great future in IT. In any category of IT career, it is essential that you keep your technology skills fresh and relevant to the rapidly changing needs of businesses. As technology continues to evolve, your skill set must evolve with it. Only then can you enjoy a successful and lucrative career in information technology.